Were You Involved in a Bus Accident? Unfortunately, motor vehicle accidents are a part of everyday life these days. Accidents, and injuries sustained in these accidents, can range in severity — it all depends on the circumstances. For example, though this is not always the case, trucking accidents are often more serious and involve more catastrophic injuries than accidents involving passenger vehicles. Bus accidents are much the same way, especially those involving higher speeds. The Federal Motor Carrier Safety Administration (FMCSA) conducts an annual report each year covering large truck and bus accidents; according to their 2016 report, these types of accidents are up two percent from 2015. While this may seem like a small number, two percent out of thousands is still many families that were affected in some way or another. 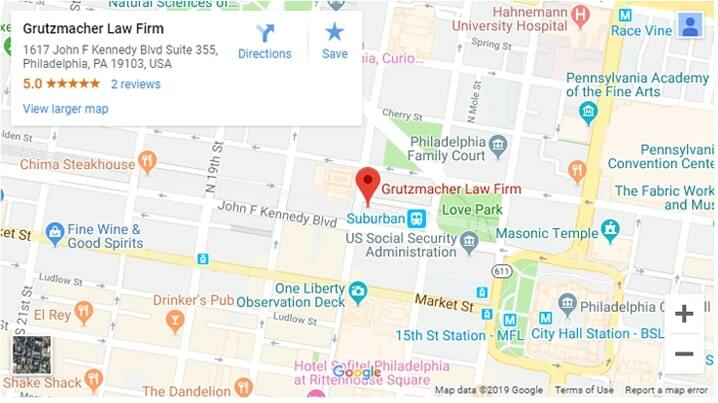 Philadelphia bus accident lawyer, Adam E. Grutzmacher, has seen firsthand the kind of damage left behind by a bus accident. Some accident victims are left to contend with life-altering injuries that now put a financial and emotional strain on the individual and his or her family while, tragically, others do not survive their injuries and suffer wrongful deaths. In these cases, family members are often left with their unimaginable grief and anger without knowing what to do. Take heart in knowing that there are legal rights and options available to you if you or your loved one has been wrongfully injured — or suffered a wrongful death — in a bus accident due to negligence. Adam will listen to the details of your situation and build a strong case plan that will better your chances at a favorable outcome. It is his goal to see that justice is served and will work tirelessly in order to achieve that goal. A Bus Hit My Car — Who Can Be Held Liable? If a school, tour, city or other vehicle that can be categorized as a “common carrier” (aka: a vehicle that transports large amounts of goods and/or people) hits your vehicle, then you have the right to pursue legal action against several potential parties. For this reason alone, it is a good idea to seek experienced legal counsel as these claims can get complicated very quickly — especially if larger companies are involved. School bus crashes. Hearing that your child’s school bus has been involved in an accident is a situation no parent ever wants to be in. In the event you do find yourself in the middle of such a situation, you can potentially hold several parties accountable. These parties include the school district, maintenance personnel who performed work on the school bus, the bus driver and/or the bus company/manufacturer. Tour bus accidents. Tour companies representing musicians, comedians and other touring groups should perform their due diligence when choosing a bus company as it could come back to haunt them should an accident occur. Charter buses are some of the most dangerous vehicles on the road simply due to their large size. When they are not operated properly, even at low speeds, serious injuries can occur. In these types of accidents, both the touring company and the bus company can be held liable in the event of an accident. City bus accidents. If a city bus hits your car, then you can potentially hold the bus driver, company and the city liable. However, in these cases, it is highly recommended that you hire experienced legal counsel as pursuing claims against a government entity are supremely challenging. At the time of the accident, be sure to get the bus number/license plate and talk to any witnesses on the scene that can bolster your claim later. Again, who you can hold liable will all depend on the circumstances of the accident. For example, you likely cannot hold a maintenance worker responsible if a defective part or service is not deemed responsible for the accident. Further, it will be very difficult to uphold a claim against official entities, like school districts or bus companies. However, do not let this be a deterrence — you deserve compensation for damages. For a better chance of seeing that justice is served, you will best benefit from having an experienced Philadelphia bus accident lawyer like Adam by your side. What Are Common Bus Accident Injuries? Spinal Cord Injury (SCI). An SCI is among one of the most severe catastrophic injuries that a person can suffer. It is estimated that over 12,000 people are affected by SCIs every year. The most common SCIs include Tetra/Para/Triplegia, spine fractures and dislocations. SCIs are most commonly caused by motor vehicle accidents according to a study conducted at the University of Southern California (USC). Traumatic Brain Injury (TBI). TBIs can vary widely in their severity. They can include anything from cognition issues to mood swings to convulsions and/or seizures. It is also possible for a severe TBI to result in a vegetative state or even death. These are often very difficult injuries to recover from and the injured person will likely have to deal with complications from a TBI for the rest of his or her life. Broken bones and lacerations. While these are less serious injuries, comparatively, they can still be expensive to treat. One broken bone can easily cost a couple thousand dollars for one cast — the monetary amount can more than double if the injured individual does not have health insurance. Additionally, these costs do not include any rehabilitation or additional medical costs (such as pain medications). These medical bills add up quickly, especially when people are left unable to work due to their injury. If you were injured due to the negligence of a bus driver and/or the company he or she works for, then you deserve compensation in order to recover from your wrongfully inflicted injuries and stress. Philadelphia charter bus injury lawyers like Adam know what it takes to hold the right parties accountable. Being injured is a stressful affair: You likely have to take time off of work, personal relationships might become strained and medical bills keep coming in the mail that you cannot pay. You have already been through enough, let an experienced Philadelphia bus accident lawyer like Adam take some of the stress from your shoulders. It is his goal to provide you with peace of mind and to see that justice is served. To start this process, he offers free and confidential consultations at his Philadelphia personal injury law firm. Contact us at (215) 261-7975 or by filling out our online form to start your road to recovery today.